Microsoft lost a ton of money in the second quarter — mainly from an $8.4 billion write-down of its 2014 acquisition of Nokia. The company also saw declining sales in notable product lines, including Windows licenses, Windows Phone and Lumia handsets. The good news: Microsoft can move past its Nokia mistake now, look to the Windows 10 launch next week, and point to progress in other areas -- cloud services, its Surface tablet, Xbox gaming, and online advertising. Microsoft's corporate cloud business grew 88%, with strength in Office 365 and Azure. The consumer cloud business is doing well too, with more than 1 million new customers signing up every month. 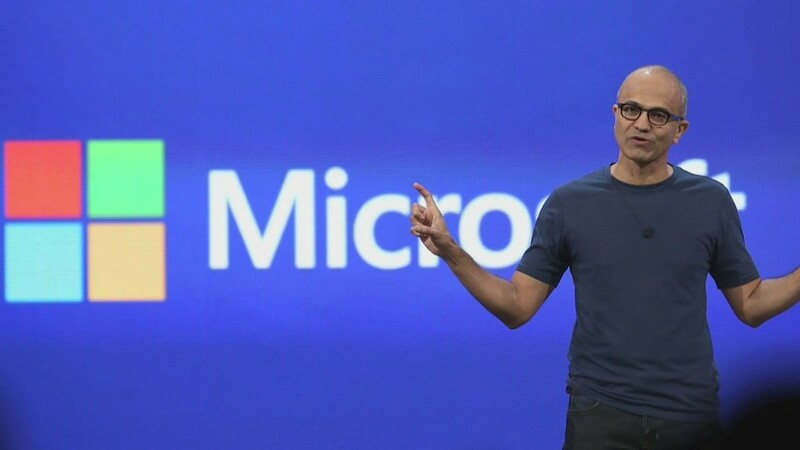 "It is clear that we have success moving people to the cloud," CEO Satya Nadella said during a call with investors. Cloud services are a critical part of Microsoft's turnaround strategy. How else do you make money when you sell your phone business, and your most famous brand is associated with sinking PC sales? By building cloud services for individuals and big companies that work best with Microsoft's software, the company has a chance to keep existing customers and hopefully gain new ones. For the strategy to work, Microsoft products like Windows and Office need to work on any device -- even if it was made by Apple or runs Google's Android software. And it means giving a lot of stuff away for free. Once people get hooked on the latest Windows-related products, Microsoft hopes people will buy new PCs to "light up" all of Windows' features, according to Gartner research analyst Steve Kleynhans. And more PCs then means more licensing revenue for Microsoft. Xbox Live transactions and video games revenue grew about 60% each, and so did console sales. Bing's market share of online advertising in the U.S. ticked up slightly to 20.3% in the past three months, and that lifted the company's advertising revenue. Surface sales continued to be strong with revenues growing 117% to $888 million. The Surface Pro 3 and Surface 3 launched in June of last year and May of this year respectively. Overall, Microsoft reported $22.2 billion in revenue, down 5% from a year ago. Microsoft shares were down in after-hours trading. Apple (AAPL) and Yahoo (YHOO) also reported earnings on -- what some analysts call -- "trillion-dollar tech Tuesday."